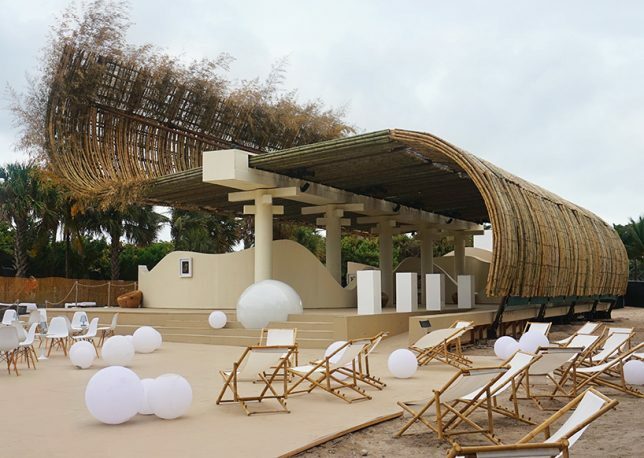 Extraordinarily flexible yet strong, the fast-growing grass known as bamboo serves as a versatile medium for architectural projects with sculptural flair, especially when it’s bent or woven. 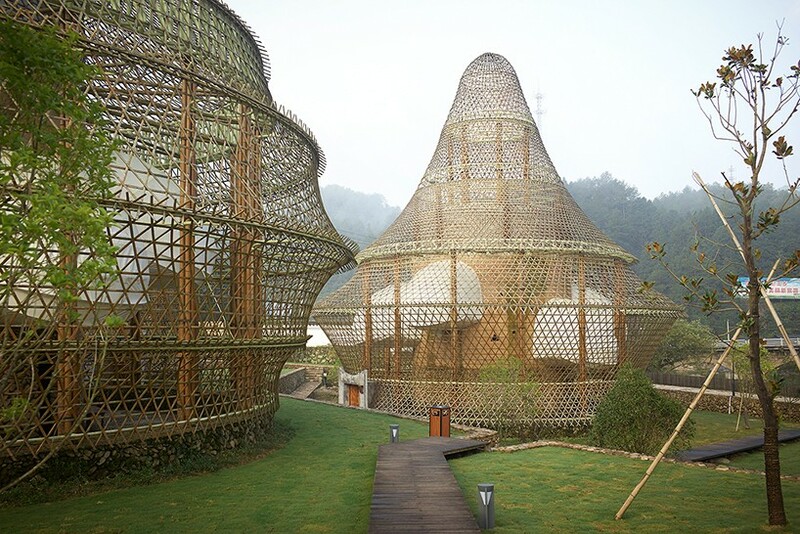 These creatively engineered bamboo structures show off the material’s potential and hint at how it could play a role in future sustainable architecture and infrastructure in the years to come. 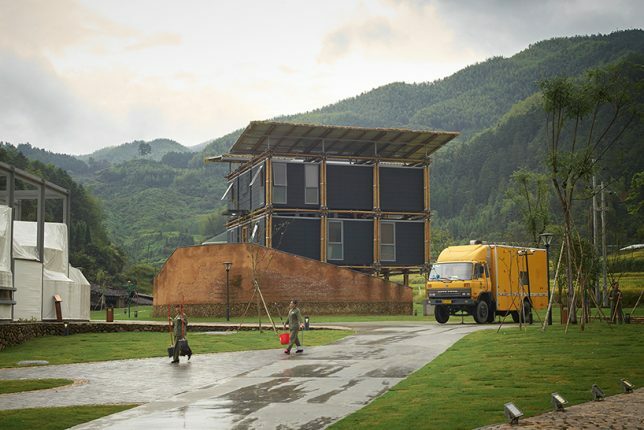 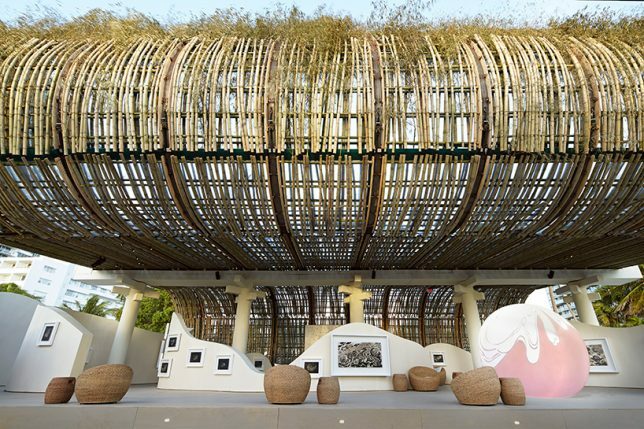 At the first annual Bamboo Architecture Biennale in 2016, which was held in the village of Baoxi, China, 12 architects demonstrated different methods of bamboo construction, including Kengo Kuma, Simon Velez, Anna Heringer and Vo Trong Nghia. 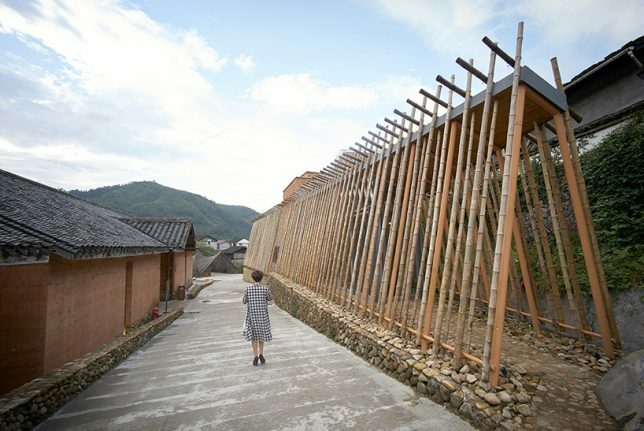 Each of the pavilions serves a certain purpose, like Kuma’s ceramics museum and Heringer’s youth hostel. 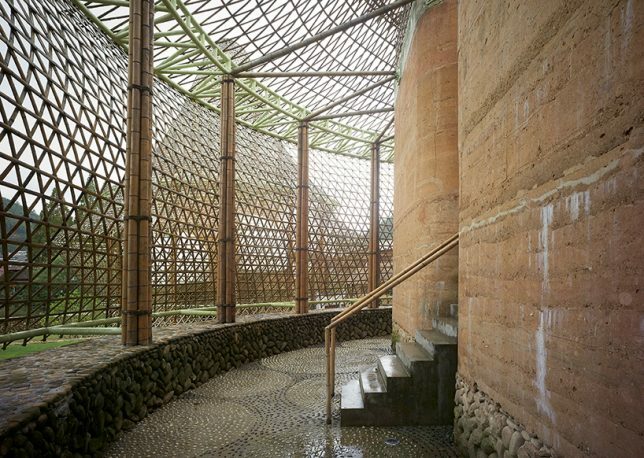 The bamboo bridge (pictured top) by Ge Quantao is especially impressive. 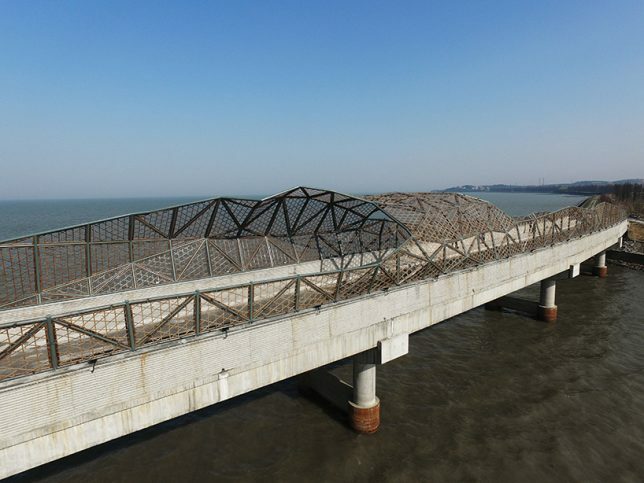 Mimesis Architecture Studio shows how beautifully bamboo can augment structures made from other materials via the Wuxi Harbor Bridge, using it as formwork for the handrails of the deck and to create carbonized bamboo nets along the top of the bridge. 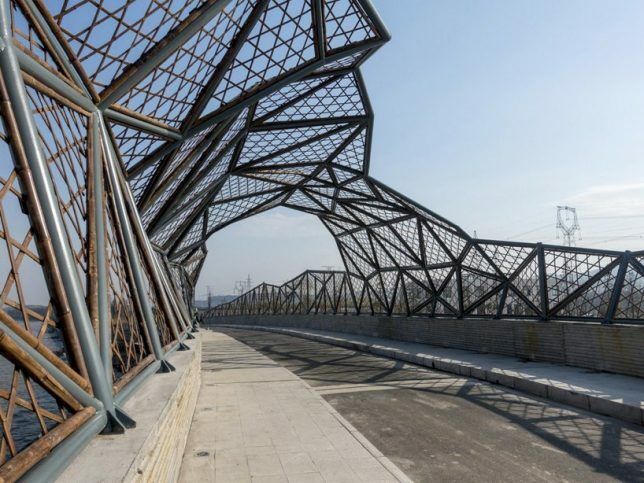 These nets are weatherized and strong, not to mention easy and cheap to replace. 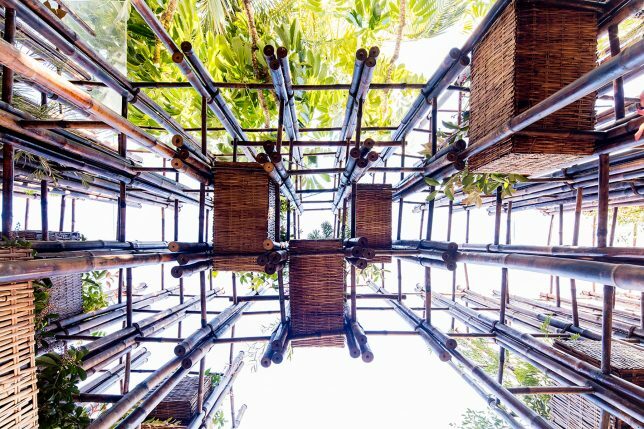 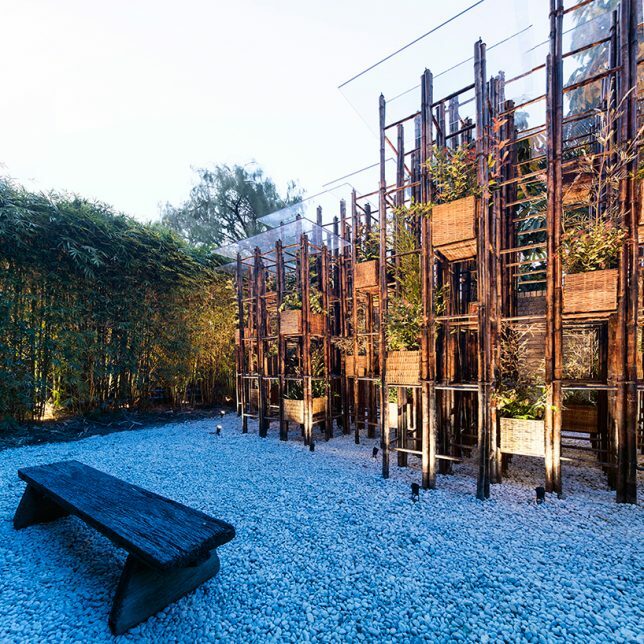 Bamboo poles create a grid-like network supporting planter pots to bring nature back to the city in this pavilion by Vo Trong Nghia. 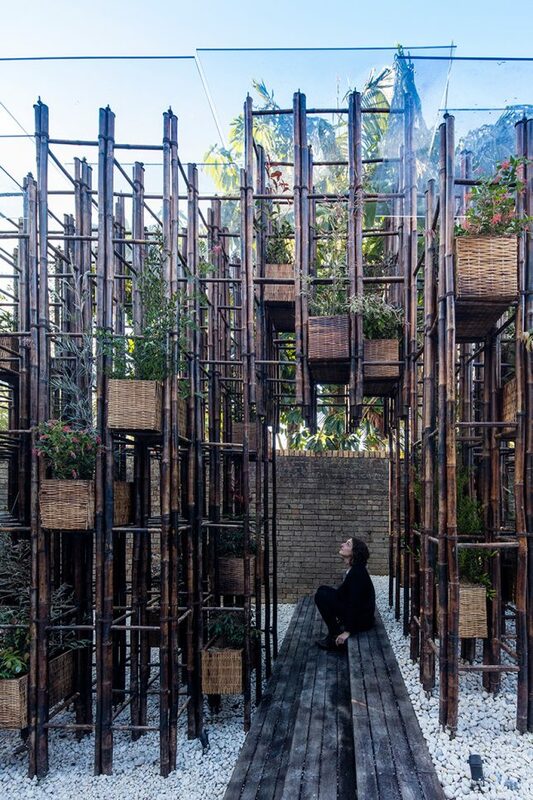 The project aims to raise awareness about the importance of access to nature in cities, especially in vietnam, where green spaces are increasingly rare. 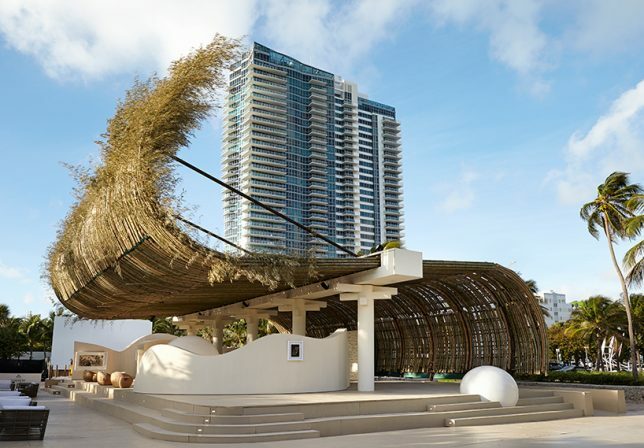 Bamboo curls up and over an outdoor space to act as a shade-providing roof in this project by Chinese artist Sun Xun and Swiss watchmaker Audemars Piguet for Art Basel. 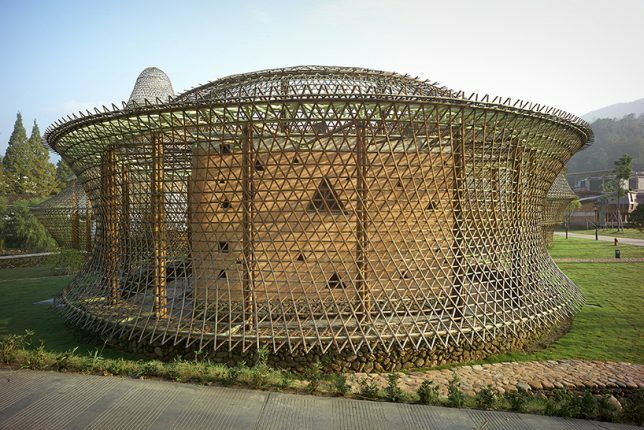 It’s made of 1300 madame timber bamboo poles, facing the ocean.